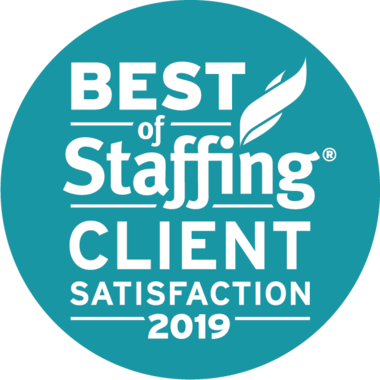 Integrity Staffing Solutions – If It's Too Good to Be True, Your Job Offer Is a Scam! Home>Blog>If It's Too Good to Be True, Your Job Offer Is a Scam! 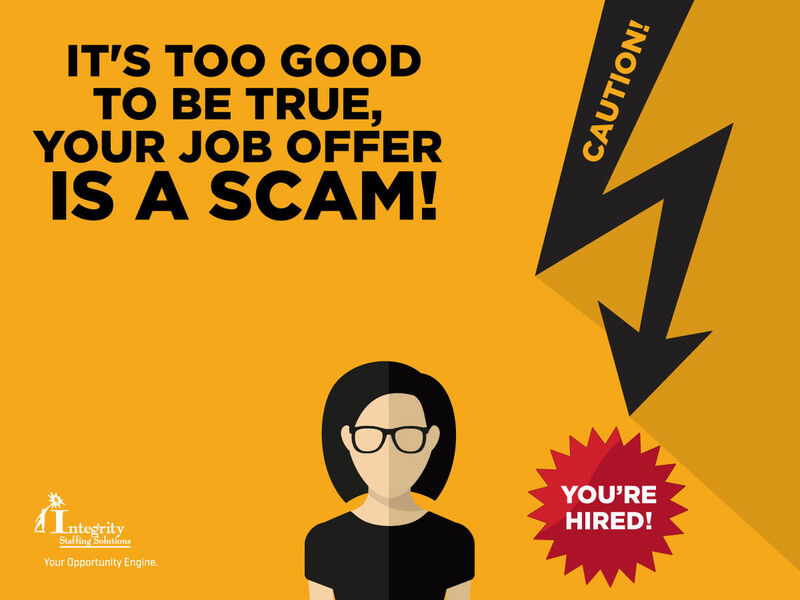 If It's Too Good to Be True, Your Job Offer Is a Scam! The growth of the online job market has made it easier than ever to find your dream job. Unfortunately, it has also made it easier for scammers to find you. Here are 3 red flags that what sounds like a great buy-in is really a big rip-off. 1. You need to pay money for something. The "employers" might say they need an advance for work permits, travel expenses or training. Even sneakier, they might send you a cashier's check for a huge amount, tell you to deduct the expenses and send back the rest. Trouble is, the check is forged and when it bounces your bank will take that money out of YOUR account. A cashier's check is no guarantee of safety. And run from anyone who wants you to deal in untraceable moneygrams. Real employers will never ask for money up front, or try to obtain your confidential financial or personal information. 2. The compensation is unrealistically high. $500 to work one hour as a secret shopper? Yeah, right. Scammers will try to lure you by offering huge salaries, bonuses, free training, no experience necessary, the opportunity to work from home, etc. And they will offer you a job instantly, without asking for a resume or interview. Read our headline again: if you think it's too good to be true ... you're right! Real employers will evaluate each candidate's skills and experience before making a compensation offer. 3. Their communications with you seem sketchy. Emails that come from a free account (i.e. HisName@gmail.com) instead of a corporate one (i.e. HisName@WidgetsInc.com) are probably not legit. Also watch out for fake company names and/or websites (i.e. Master-card instead of MasterCard). And finally, scammers' writing is often full of very bad English; many of them live in places like Nigeria or Bangladesh and make mistakes that no American over the age of eight would make. Real recruiters work for companies that can be investigated online and whose websites include verifiable contact information. Job scams are getting more sophisticated every day. When in doubt, Google everything, from the wording of the job posting to scam reports at the Better Business Bureau. And never give anyone access to your money or identity details (even if it's to "set up your paycheck account"). That's what the scammers really want from you, and you'll never see a dime from them. You can take that to the bank.